From these past weeks, we are still progressing in terms of hardware and software for our post and hoping to get it into a pasture. Additionally, we have received a provisional patent and registering for the Google Science Fair. We are currently working on measurements for our next prototype that may end up in a pasture! Our humblest apologies for the lack of feed on the blog page. We have now decided to prepare to plant our post at a stable called Vernadee Stables. As the Hydrators, we took measurements at the stable to adjust our post measurements. We are now preparing all the components for the post to function which may soon be in use! Today we worked on circuiting and building the electrical components of our post. We worked on our valve and our switches that control it, and we stressed over proper wiring and wiring techniques. As well, we worked on the Arduino program, and we are advancing at a steady and consistent pace. Finally, we made advancements with patents, and we are very excited to see what the future holds for us as a whole, and the H20 Post. Today we were finishing up planning for our presentation for the Ontario Innovation Celebration. We formulated a very interactive presentation. We also have an open house coming up at our place of work, E-Bots, where we will be showing off our post on February 19 of family day weekend. Today was a busy work day, we worked hard on trying to complete the construction of our arduino which will be in our post. As well, we are working on our programming for the Arduino. 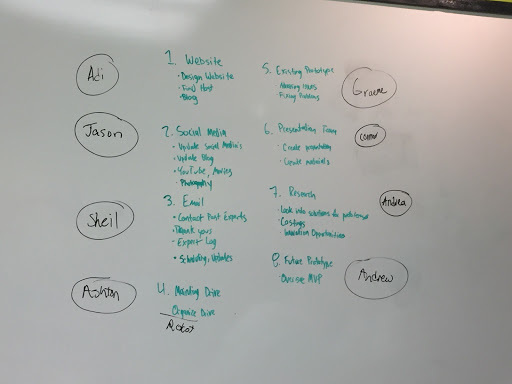 Team members that are also on another FLL team were working hard on creating a script and a plan for the Ontario Global Innovation, as their team won the Provincial West event. Today was not a necessarily busy or eventful day, but instead a hard working and productive session. Today our team was invited to the Ontario Provincial West competition, with half of our team competing in the actual event with their new teams, and the rest of us volunteering and explaining our project to the public at our booth. We were very lucky to be invited to the University of Waterloo to attend the event as the current Global Innovation Award winners. It was a fantastic day, and we were also invited on stage to present our project, to the tens of teams competing. At the end of the day we were even allowed to be a part of the high five line, and hand out the awards to the invitees of the Ontario Innovation Competition, the very same competition we competed at, and then won. All in all it was an amazing and incredible experience for all of us, and we’ll like to thank First Canada for allowing us to attend. Today our team was invited to the Ontario Provincial East competition, where we set up a booth for both our last year robot, and for our project. 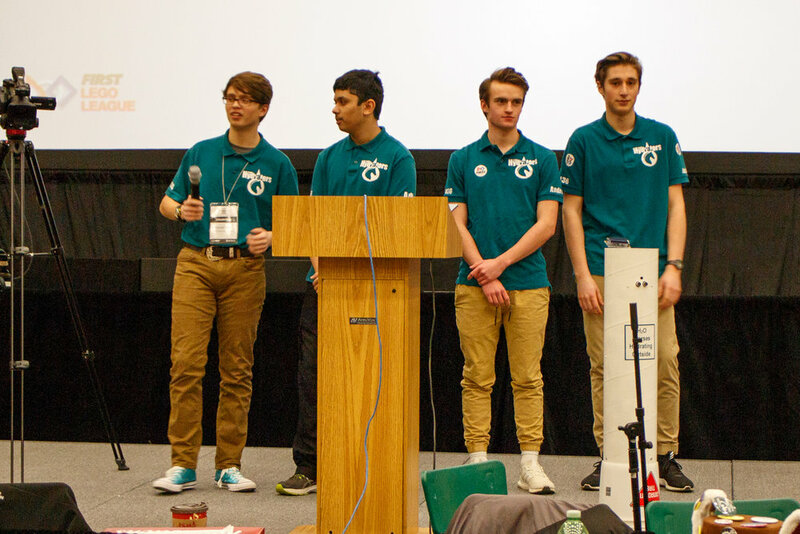 We talked and discussed with other teams competing, and we even handed out the OIC (Ontario Innovation Competition) invitations to the winning teams. Overall, it was an amazing day and a wonderful experience, allowing us to still be involved in the FLL scene, and giving us the opportunity to bond and learn with other teams, while still being able to mentor them. We are very privileged to be invited to the event, and we would like to thank First Canada for allowing us to do so. It was an incredible experience none of us will forget! We have returned from our Holidays and are back at work in a new year. We have been given many new opportunities by FLL to present our project, and give out invitations to the Ontario Innovation Celebration (which we participated in and moved on to Washington DC from last year) at both the Ontario West and East competitions. We have also started planning for a workshop we will be running for teams at the OIC, where we will share our experiences and tips on patenting, prototyping, and much more. 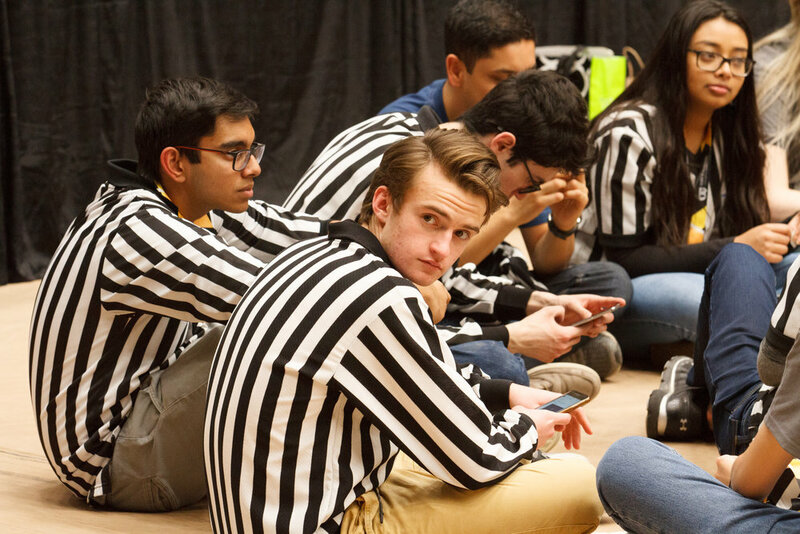 We have run into the dilemma that 4 of our team members are actually competing in the Ontario West and East competitions with their new FLL teams! We have worked around our schedules and have been working on a way to include everyone. Today, we are making great progress on making our product to put in a pasture. We have been programming and gathering parts. Here is our Ontario Innovation Award from last year... the one which would lead us to Washington DC!